Dryopteris goldiana plants. By Donald Cameron. Copyright © 2018 Donald Cameron. New England Wild Flower Society. gobotany.newenglandwild.org (Accessed 4/2018). 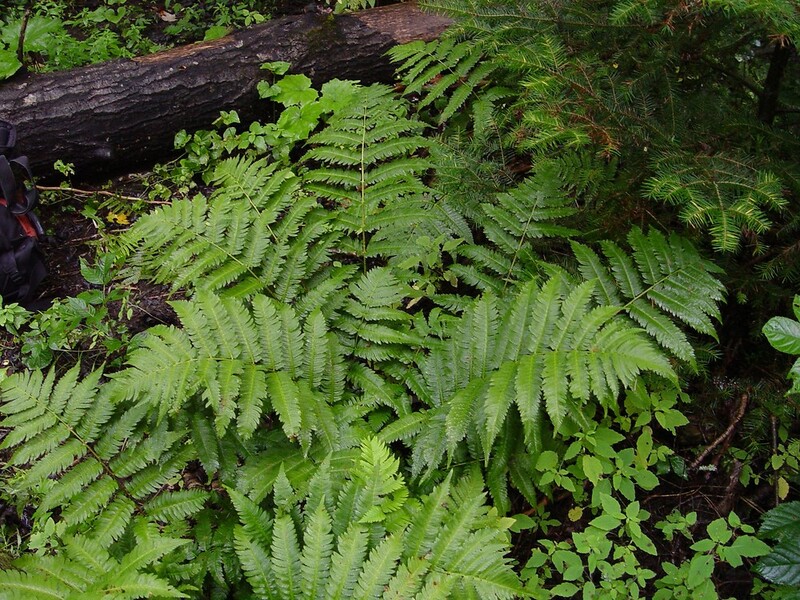 Dryopteris goldiana| is a fern from the end of an ascending rhizome. 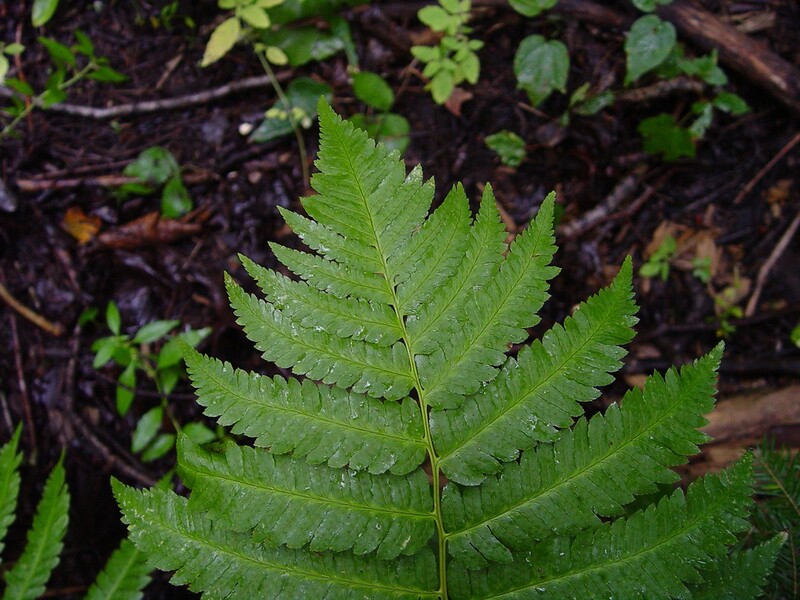 Dryopteris goldiana leaf. By Donald Cameron. Copyright © 2018 Donald Cameron. New England Wild Flower Society. gobotany.newenglandwild.org (Accessed 4/2018). Leaves semi-evergreen, to 1.2 m long, in a rosette, stalk to 40 cm, base densely scaly, scales to 2 cm long, central part dark brown with paler margin; blade to 30 cm wide, egg-shaped in outline, leathery, bronze-green, once pinnate, leaflets (pinnae) 12-16 per side, to 4.5 cm wide, these pinnately lobed almost to midrib, tip abruptly pointed, base only slightly narrowed, lowest lobes shorter than those above; lobes to 3 x 0.9 cm, toothed, teeth bristle-tipped. 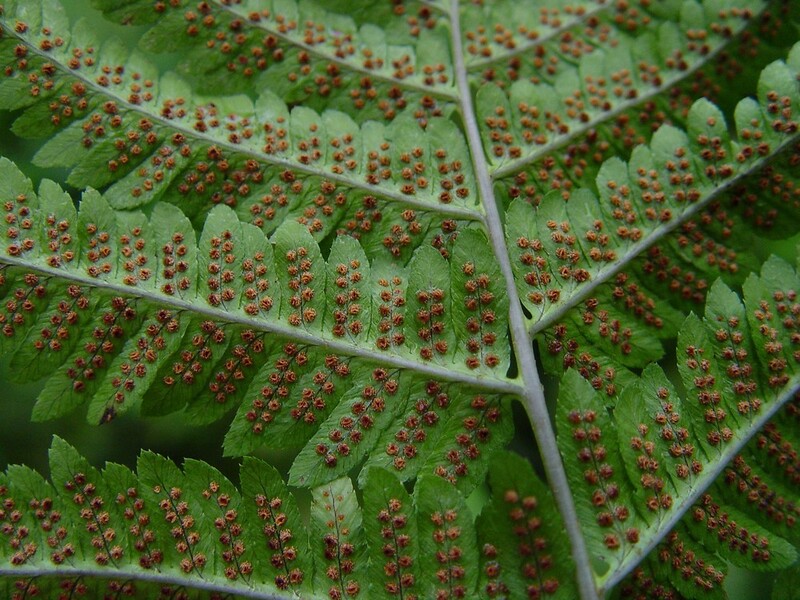 Dryopteris goldiana sori. By Donald Cameron. Copyright © 2018 Donald Cameron. New England Wild Flower Society. gobotany.newenglandwild.org (Accessed 4/2018). Spore cases small, close to midrib, kidney-shaped. Habitat: Moist to wet woods, in rich circumneutral soil.